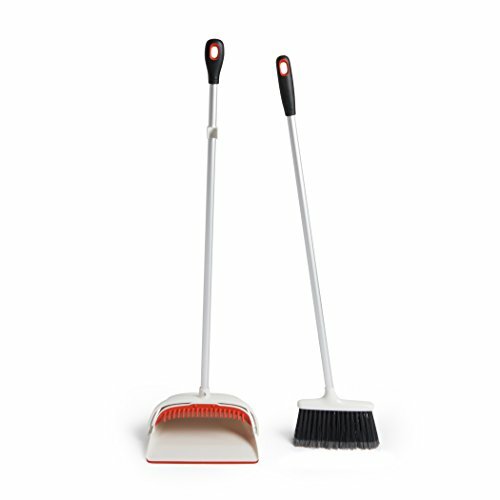 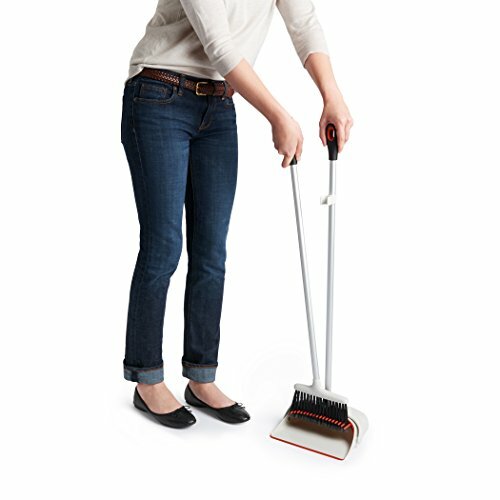 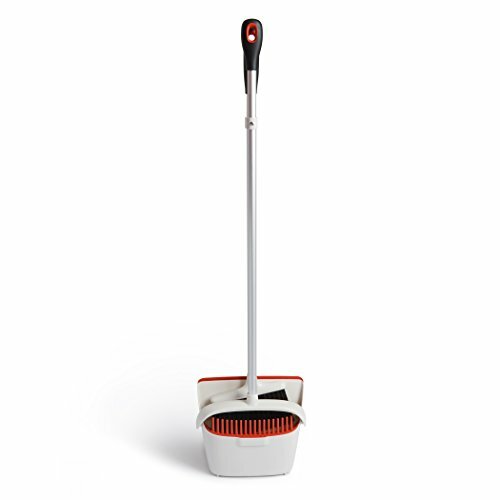 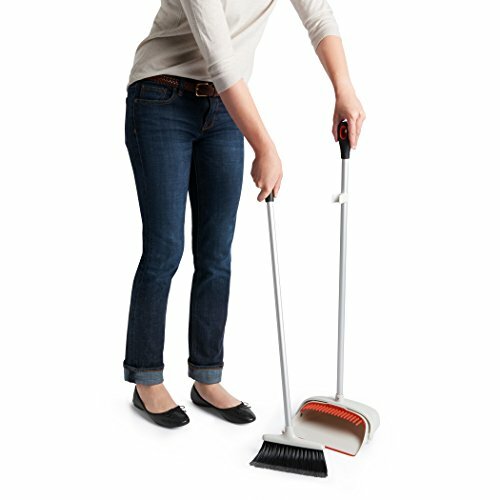 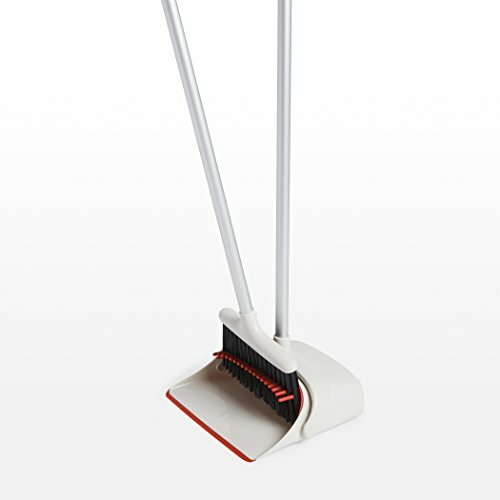 Details: Make quick clean ups easy with the OXO Good Grips Upright Sweep Set. 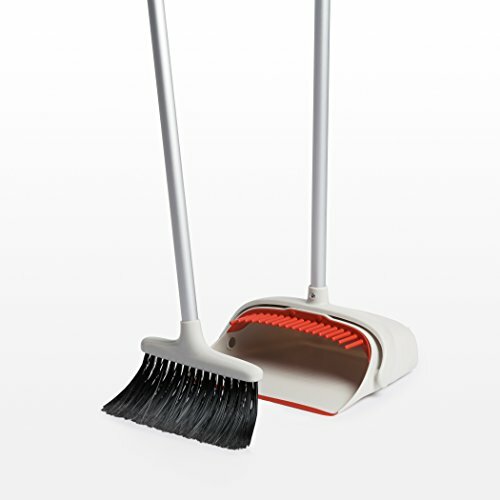 The broom has flagged bristles resulting in a larger surface area and a soft, feathered texture that effectively grabs dust and dirt. 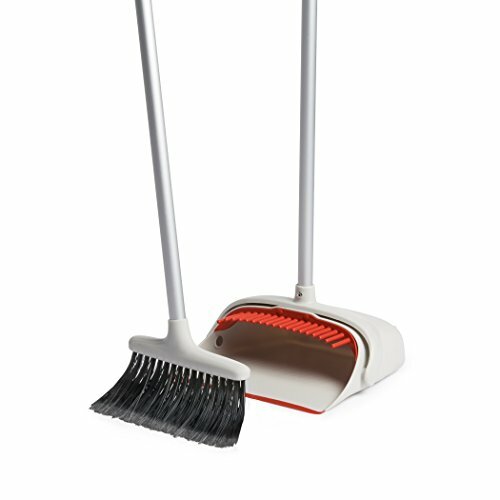 The dustpan features teeth to comb out dirt and a flexible lip that conforms to surfaces so dust is not swept underneath it. 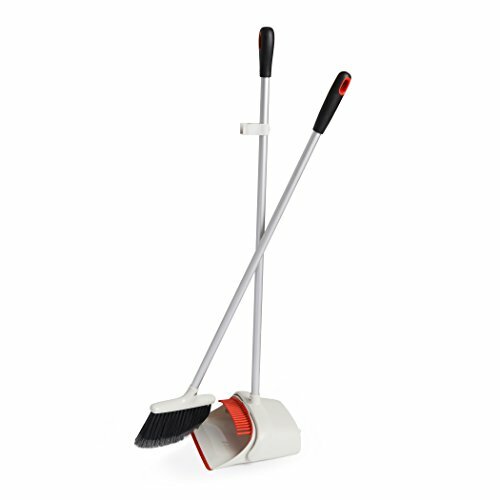 The dustpan also locks open for easy emptying. 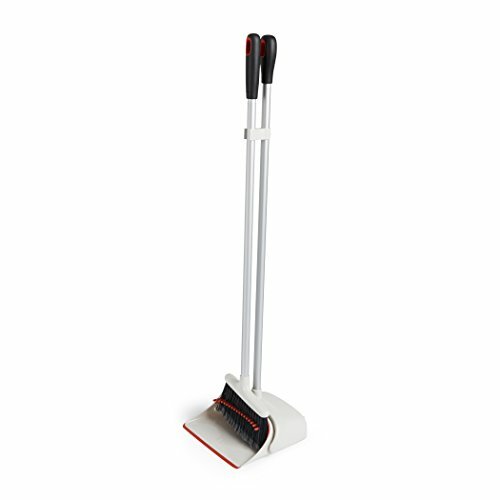 The lightweight, aluminum pole with non-slip grips is easy to maneuver, and the broom snaps into the closed dustpan for upright, compact storage.